Okyeame Kwame Doesn’t Want to Be President of MUSIGA! Other germane matters ascended on GBC 24 showbiz slice this yesterday(03.06.2015) as MTN Ghana’s envoy, Okyeame Kwame shined the light and lectured on the making of the current music film for his debut reggae riddim dubbed ‘Mere Twen wo’ (Waiting for You). The video as revealed by the most versatile act in Ghana’s music game was film in innumerable bulbous locations in Ghana with the distinguishing colors of national flag flying through to explain where the video originally hails. “Mere Twen Wo” is a love song. When a lover intends visiting you, you clean away all grimes in your room, clean the bed and all vital section around but what you seldom disremember is to clean your heart, for the reason that; the heart is the sweetest plug. Cleaning the heart simply means, you are ready to confess all the inappropriate stuff you have done. In all, the inspiration of the video is to Tremor you– Bra Kwame pronounced when the host queried on what inspired newly release music video directed and filmed by Solid Pictures. According to the Presenter of GBC 24 Showbiz segment, there are buzzes of Okyeame Kwame trending nationwide that; He wants to be President someday but she so much yearns to know if it’s president of the Musicians Union of Ghana (MUSIGA) or President of Ghana. Mr. Versatile, not even pausing for a second, quickly responded ‘I DON’T WANT TO BECOME PRESIDENT OF MUSIGA’. This accompanied with a very broad smile on his face. He clarified; I’ve seen presidents of the Musicians Union of Ghana, from Agya Koo Nimo, down to Obour been verbally molested and suspicious by musicians even when they are on the right track or even when they do wrong. I have seen how our Musicians have treated them. Instead of them taking legal actions, they sit on airwaves to discuss situations affecting MUSIGA and putting the whole Ghana Music fraternity to shame. So based on these and many more I’ve seen, I don’t want to ever be President of MUSIGA. 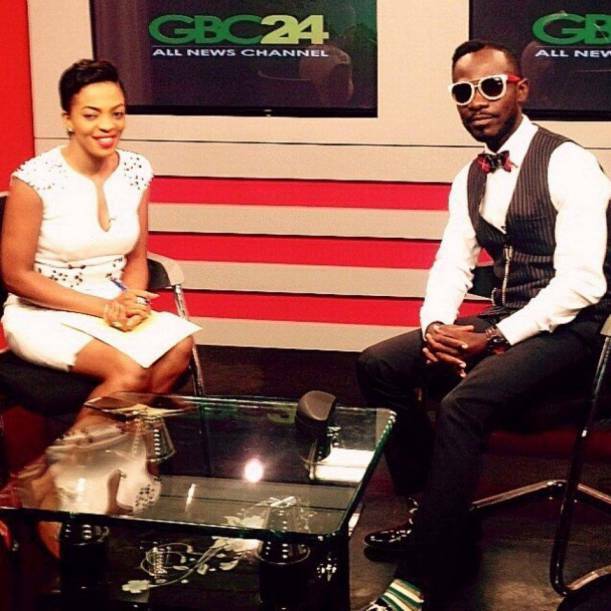 President of Ghana is something I’m really eyeing – Okyeame Kwame laughably commented. I had the vital part of the interview of Okyeame Kwame on GBC 24 Channel on Tape. Watch is underneath now for more insights what he discussed today!